Over the past six years, Sharrow Engineering has analyzed extensive testing data collected at the University of Michigan’s Marine Hydrodynamics Laboratory and implemented a rigorous in-water test program using manned vessels in lakes, rivers, and bays. Results from this comprehensive research program demonstrate that the Sharrow Propeller 9-15 percent more efficient than the industry standard Wageningen B-series design. Industry experts have traditionally evaluated gains of 1 percent efficiency as meaningful. 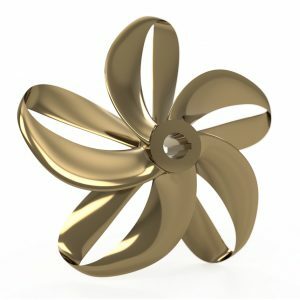 The Sharrow Propeller can be manufactured to meet a comparable price point to standard propellers. IMO regulations to limit sulfur levels in shipping fuel oil are set to take effect on January 1, 2020. The new regulations will lower the allowable sulfur level in shipping fuel from 3.50 percent m/m (mass by mass) to 0.50 percent m/m. There already exists an even stricter limit of 0.10 percent m/m in emission control areas such as the Baltic Sea area, the North Sea, and much of the North American maritime area. Fuels costs are expected to rise by up to a quarter – or $24 billion globally – based on the new regulations. 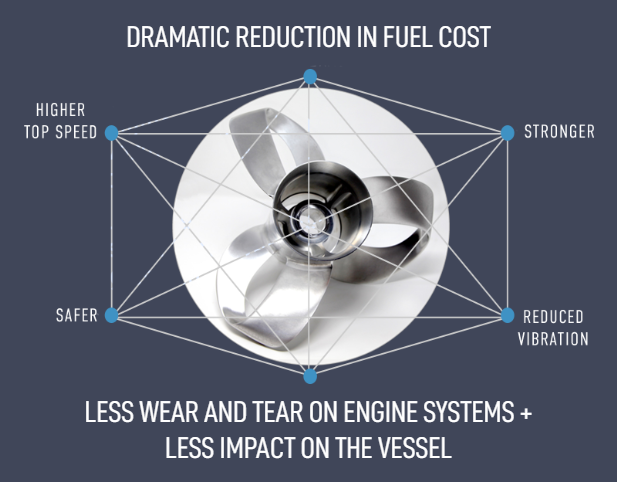 Sharrow’s propeller product provides a wider peak efficiency curve for greater utility over a wide scope of operational ranges, and a 17 percent reduction in torque while accelerating. Sixteen unique U.S. and International patent applications have been filed with the USPTO and foreign countries to protect the intellectual property rights for the design of the Sharrow Propeller. Patents have been awarded in the U.S., Japan, Canada, and EU – the rest of the patent applications are currently pending.